A common occurrence when existing houses are being sold to a new owner are faulty or non-compliant septic tanks. With the introduction through the past number of years of a consent to discharge approval for all septic tanks and sewage treatment plants, many people are still currently unaware of these new regulation changes. Depawater first received a call from a customer looking to sell their property which had no consent to discharge in place. 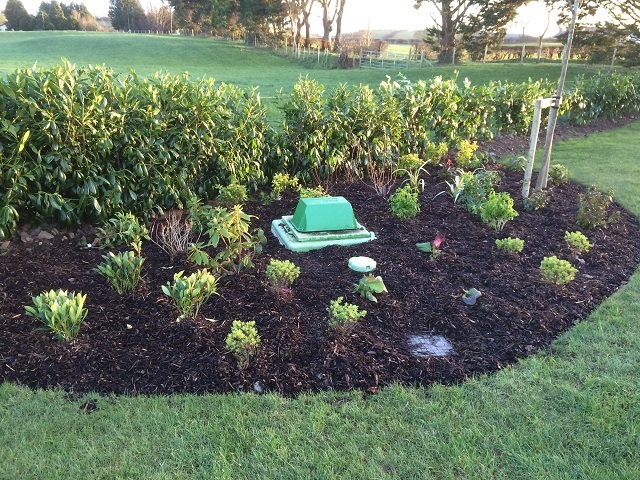 We provided a full turn-key package including: site visit, filed & gained consent to discharge, replacement of the old dis-functional septic tank with a new Tricel Vitae sewage treatment plant and pumped outlet to a close by waterway with-in the boundary achieving the desired 97.5% final effluent quality. We also included the reinstatement of the gardens to assist with the house sale as quickly as possible. The customer needed a fast, efficient and reliable service. They wanted someone they could trust as they had plans in place to move to another property and timing was crucial to clinch the sale of one property and the purchase of another. The customer needed to gain the consent to discharge approval for a new sewage treatment plant to discharge to a waterway. With a sale agreed, the paperwork and replacement treatment tank needed to be completed in a hurry. 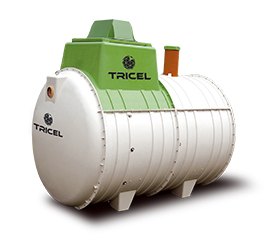 We had been highly recommended to the customer by another thoroughly satisfied customer who had a similar problem effectively resolved by us and using a Tricel sewage treatment plant solution. The old existing septic tank was not only non-compliant as it was piped to the waterway, but it was also not functioning as the waterway was at a higher level than the outlet from the septic tank. Depawater solution was a Tricel Vitae UK6 sewage treatment plant with a pumped outlet to the waterway. Depawater filed the consent to discharge and quickly got it approved. 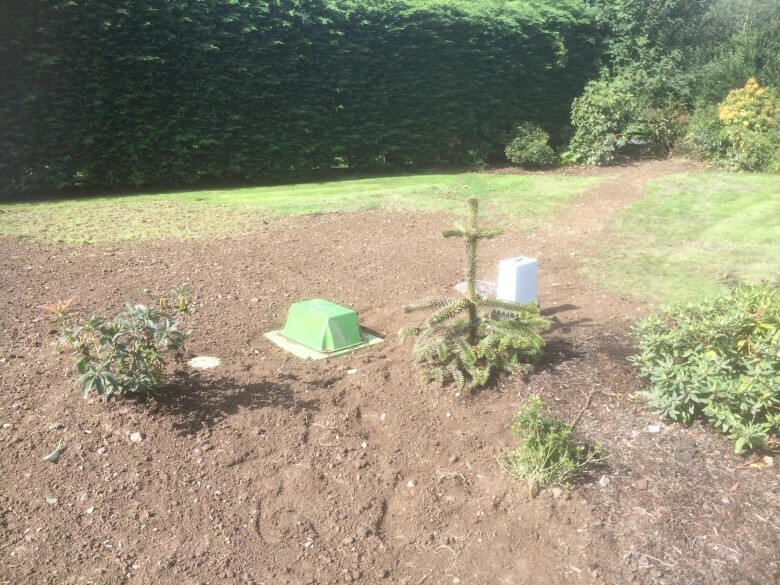 With the approval now in place, we rapidly set about the removal of the old septic tank, and replaced it with a new Tricel Vitae sewage treatment plant and Tricel pro-pumping station. The job was completed with minimum fuss, and all within the set timescale of two days as agreed with the homeowner. The landscaping was reinstated as before, aiding with the sale of the property and to the satisfaction of all parties. The customer expressed their approval and was delighted to have placed their trust in Depawater to come up with a fast effective and reliable solution to their problem. 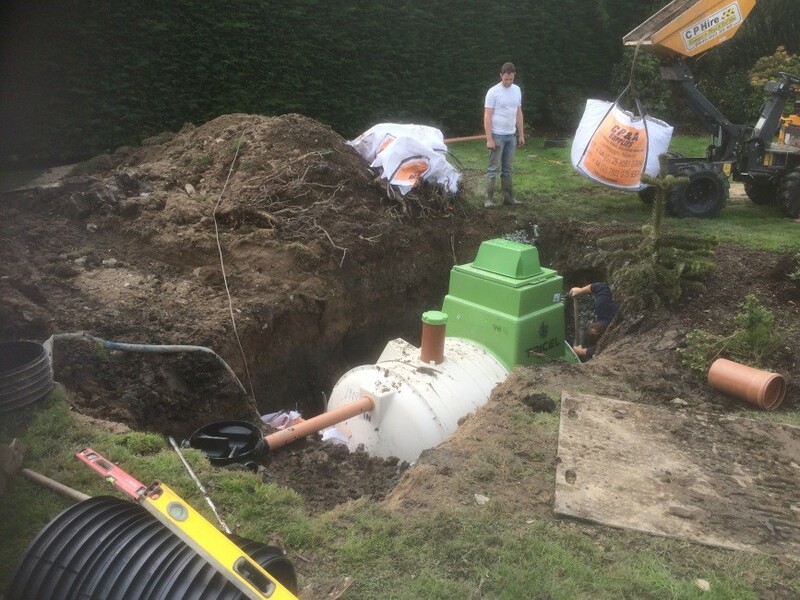 If you in a similar situation and require a replacement to your existing septic tank, get in touch with us today and discuss your project.